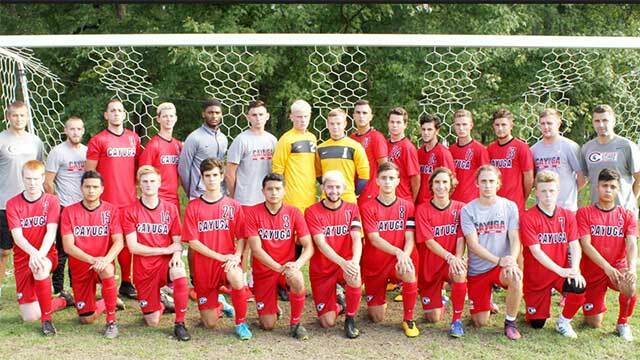 The Cayuga Community College men’s soccer team was recently named the 2017-2018 National Academic Team of the Year by the National Junior College Athletic Association (NJCAA), honoring the team for its success in the classroom. The national recognition is awarded annually to 14 men’s and 13 women’s college programs who have the top GPA in their sport and a minimum cumulative GPA of 3.0. The Cayuga men’s soccer team finished the season with a cumulative GPA of 3.38, edging the Northwest Kansas Technical College’s 3.37 GPA. Two other Cayuga athletic teams were also nominated for the prestigious NJCAA award. The women’s cross country team finished eighth nationally with a 3.36 cumulative GPA, and the women’s soccer team finished 57th with a 3.05 GPA. The men’s soccer team was also impressive on the field. 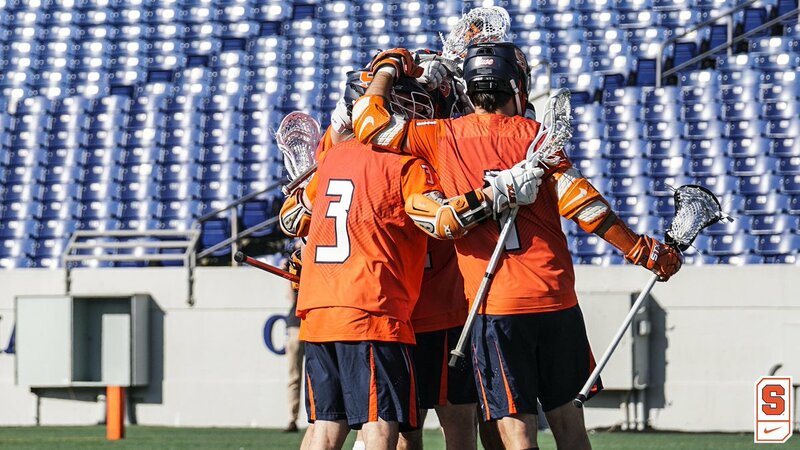 The team finished with a 13-4 record, and in the final month of the season received votes for the national rankings. The team advanced to the regional championship game, where they fell to eventual national champion Genesee Community College. Members of the men’s soccer team for the 2017-2018 season were: Mikel Abando, Alejandro Blazquez-Camacho, Paul Coyle, Aaron Dargie, Kevin Deyo, Max Dixon, Ander Echaniz, Pedro Fanhani, Diego de Urquijo Fernandez, Arturo Galindo, Juan Galindo, Daniel Gethin, Alfie Hipwell, Eduardo Jimenez, Jeremy Kilgour, Mauricio Kosegarten, Santiago Ortega, Konrad Pawlikowski, Selim Prenci, Hector Rojas, Jose Manuel Sanchez Garcia and Grant Stamp.